Jefferson Waterman International is representing the West Africa nation of Ghana, providing services that will help the country meet the challenges of regional turmoil and achieve the full promise of its new oil production industry. JWI political and media representation is bringing the importance of Ghana’s continued stability and its widely recognized good governance to the attention of the American public, the U.S. Government, and the international community. JWI also is providing economic and security consulting support to strengthen Ghanaian infrastructures critical to commercial investment and oil production operations. JWI’s Africa Advisory Board, composed of former U.S. ambassadors to the region, former senior IMF officials, and retired high-ranking U.S. military officials who have served in the region, have seen all too many nations suffer more than prosper from their oil production. Oil can lead to crippling corruption, unwarranted expenditures, and the mortgaging of oil production revenues into the future. Ghana is determined not to let this happen. JWI’s team is helping the government responsibly steer the nation’s evolution into an oil producing nation so that the industry’s success benefits the people of Ghana and forms a strong foundation for decades of commercial growth. As a major contributor to UN Peacekeeping Forces, Ghana plays a pivotal, positive role in nations across Africa and also in Lebanon, Georgia and Kosovo. Yet Ghana faces security challenges itself. New security responses are needed to prevent recent influxes of refugees from troubled neighboring countries from destabilizing the country, and also to make Ghana an even more robust counter-terrorism partner to the U.S. JWI is helping Ghana shape effective security measures, while its political representation is building support for them. Additionally, JWI is helping Ghana strengthen its maritime security infrastructure to safeguard offshore oil wells and personnel. The U.S. Government’s Millennium Challenge Corporation’s recent selection of Ghana for renewal of its earlier MCC Compact reflects Ghana’s earned reputation for good business practices and economic performance. JWI is increasing awareness that Ghana is that rarity among African nations: rich in resources, but with a demonstrated respect for the rule of law, an educated English-speaking workforce, and leadership that supports rather than hinders private enterprise. The business of international politics. The politics of international business.  Jefferson Waterman International is a premier Washington, D.C.-based political and business consulting firm with an exclusively and distinctly international practice. JWI’s effectiveness stems from the high-level experience and global contacts of its people: senior internationalists from the U.S. intelligence community, as well as from business, security, government relations, and media relations. These individuals discreetly apply their knowledge of issues, processes, and decision-makers to execute strategies that achieve clients’ goals.